pmxExportKML is a plug-in for Autodesk® AutoCAD® that exports AutoCAD and FDO (Feature Class Objects) objects to a KML version 2.2 file. The KML file can be opened and viewed in Google Earth or any other application with KML support. This application is compatible with the following versions of Map 3D or Civil 3D: 2013, 2014, 2015, 2016 and 2017. Spatial Manager™ for BricsCAD is a powerful BricsCAD plug-in designed for BricsCAD users who need to import, export and manage spatial data in a simple, fast and inexpensive way, which includes many possibilities not seen so far in BricsCAD. It comes in a lightweight application that runs inside BricsCAD and allows the user to import and export geospatial data between BricsCAD drawings and geospatial files, data servers or data stores. Spatial Manager™ for AutoCAD is a powerful AutoCAD plug-in designed for AutoCAD users who need to import, export and manage spatial data in a simple, fast and inexpensive way, which includes many possibilities not seen so far in AutoCAD. It comes in a lightweight application that runs inside AutoCAD and allows the user to import and export geospatial data between AutoCAD drawings and geospatial files, data servers or data stores. 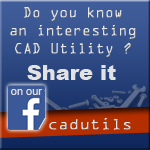 Not only works in basic AutoCAD: also in AutoCAD Map 3D, AutoCAD Civil 3D, AutoCAD Architecture, etc. Spatial Manager Desktop™ is a desktop application designed to manage spatial data in a simple, fast and inexpensive way. Spatial Manager Desktop™ will calculate geometric transformations of the features in line with the import or export processes, which will depend on the chosen Coordinate Reference System (CRS) for the source and target data. Spatial Manager Desktop™ incorporates the UDS technology to easily connect with spatial database servers, or data stores, and also as the way the user can define the path to a particular spatial data file, including their own connection parameters. Spatial Manager Desktop™ tasks are the way the user can save any import or export process and its parameters in order to run repetitive processes for import or export data tables.